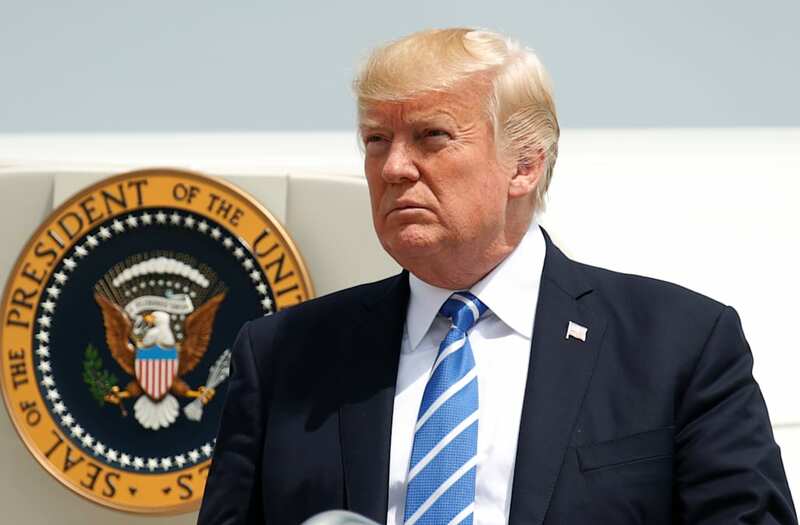 President Donald Trump is set to address American troops and the nation on Afghanistan Monday night. Trump is expected to announce the deployment of more U.S. troops to the region. He will speak from Fort Myer in Arlington, Virginia at 9 p.m. EDT. Flanked by Vice President Mike Pence and Speaker of the House Paul Ryan, President Donald Trump delivers his Joint Address to Congress at the U.S. Capitol Building in Washington, D.C., Tuesday, February 28, 2017. President-elect Donald Trump walks to take his seat for the inaugural swearing-in ceremony at the U.S. Capitol in Washington, D.C., Friday, January 20, 2017. President Donald Trump talks on the phone aboard Air Force One during a flight to Philadelphia, Pennsylvania, to address a joint gathering of House and Senate Republicans, Thursday, January 26, 2017. This was the President’s first trip aboard Air Force One. New England Patriots Coach Bill Belichick delivers remarks during the team's visit to the White House celebrating their Super Bowl LI victory on the South Lawn, Wednesday, April 19, 2017. President Donald Trump lands in Marine One at the Snap-On Headquarters, Tuesday, April 18, 2017, in Kenosha, Wisconsin. The President toured the headquarters and signed the "Buy American, Hire American" Executive Order. President Donald Trump and Vice President Mike Pence admire several Harley-Davidson bikes on the South Lawn driveway of the White House in Washington, D.C. President Trump hosted a lunch for Harley-Davidson executives, as well as union representatives for machinist and steel workers, in the Roosevelt Room of the White House in Washington, D.C., Thursday, February 2, 2017. President Donald Trump and NATO Secretary General Jens Stoltenberg walk along the West Colonnade of the White House, Wednesday, April 12, 2017. Chief of Staff Reince Priebus looks into the Oval Office as President Donald Trump reads over his notes, Friday, March 10, 2017, prior to meeting with key House Committee Chairmen at the White House. President Donald Trump talks with German Chancellor Angela Merkel, Friday, March 17, 2017, in the outer Oval Office, joined by Senior White House Advisor Jared Kushner and Ivanka Trump, at the White House in Washington, D.C.
President Donald Trump and Israeli Prime Minister Benjamin Netanyahu talk together prior to President Trump’s address, Tuesday, May 23, 2017, at the Israel Museum in Jerusalem. President Donald Trump reviews his remarks backstage at the National Prayer Breakfast at the Washington Hilton in Washington, D.C., Thursday, February 2, 2017. President Donald Trump and First Lady Melania Trump, joined by members of the U.S. delegation, participate in a wreath laying at Israel’s Holocaust museum, Yad Vashem, Tuesday, May 23, 2017, in Jerusalem. President Donald Trump and First Lady Melania Trump join King Salman bin Abdulaziz Al Saud of Saudi Arabia, and the President of Egypt, Abdel Fattah Al Sisi, Sunday, May 21, 2017, to participate in the inaugural opening of the Global Center for Combating Extremist Ideology. President Donald Trump talks to members of the press in his office aboard Air Force One during a flight from Philadelphia, Pennsylvania, to Joint Base Andrews in Maryland, Thursday, January 26, 2017. President Donald Trump waves to supporters on Saturday, March 4, 2017, in West Palm Beach, Florida. President Donald J. Trump receives a briefing on a military strike on Syria from his National Security team, including a video teleconference with Secretary of Defense, Gen. James Mattis, and Chairman of the Joint Chiefs of Staff, Gen. Joseph F. Dunford, on Thursday April 6, 2017, in a secured location. President Donald Trump delivers an address to a joint session of Congress on Tuesday, February 28, 2017, at the U.S. Capitol. This is the President's first Address to Congress of his presidency. From the Red Room on the State Floor of the White House, President Donald J. Trump looks out of a window Wednesday, May 3, 2017, prior to joining guests for an evangelical advisory board dinner.